I am Happily busy working on last minute shower favors for our soon to be daughter in law. Finishing up tea cups and I made these cards to sit as flags in antique soup tureens for the table center pieces. I thought I would share them with you! 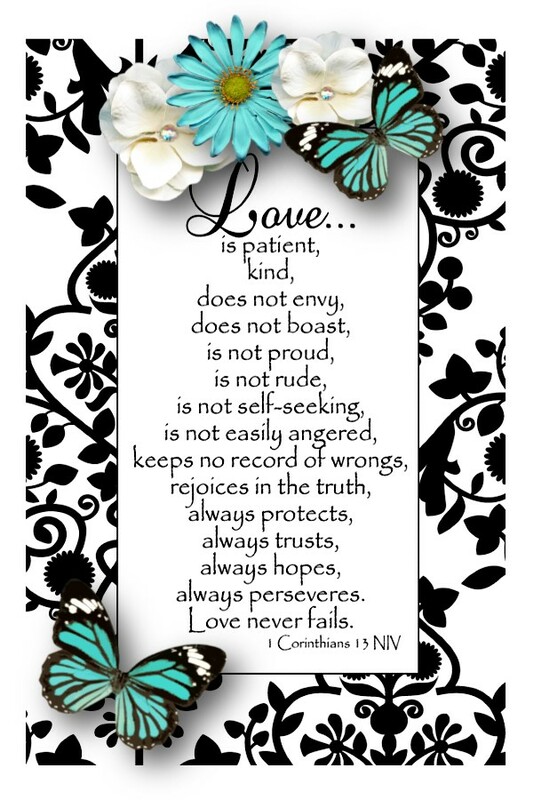 Have a wonderful day and I hope it is filled with what Love Is! Ginny, I believe you are a clone of the energizer bunny because you get so much accomplished. Love the cards for the table you made; a wedding is an exciting time for all. Enjoy!